Our mission at The Peoples Clubs is to inspire golfers to become great by equipping them with the best golf clubs available. The Peoples Club Shop is a full service online golf store. We specialize in custom built tour issue clubs that give our customers every advantage possible. 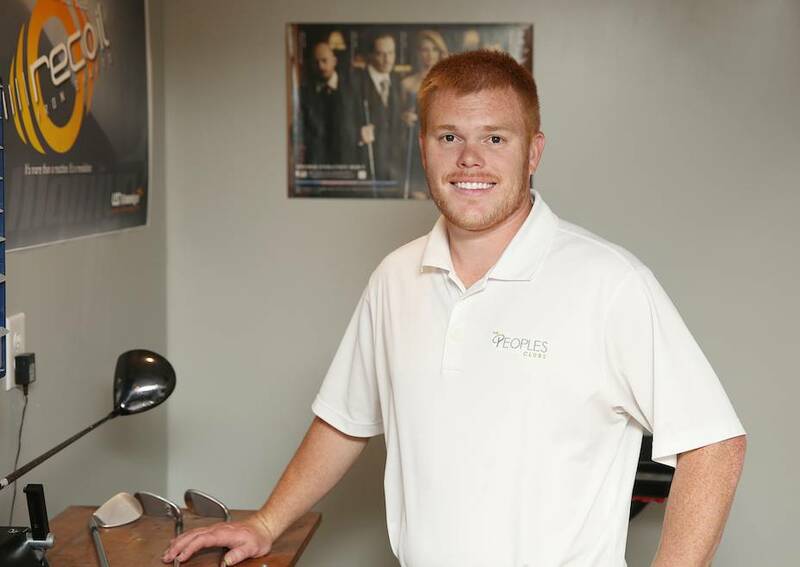 The owner Will Peoples has been an avid golfer growing up. After personally experiencing the advantages of tour issue clubs he wanted to bring that same advantage to the weekend golfer, not just the tour players. The Peoples Clubs was founded in 2008. We have built countless clubs for pros, collegiate golfers, aspiring pros, and everyday hacks like us! We take pride in providing tour quality services to everyone. We take pride in having satisfied customers and will do whatever it takes to ensure every customer is happy. We are well known and well respected throughout the entire golf community. You might have seen us on GolfWRX, Global Golf’s Blog, TheHackersParadise or several other online forums and Blogs. We have built well over 15,000 clubs and have tons of satisfied customers. "You’ve done more for the state of my game than anybody. And that includes Eli Callaway, Barney Adams, Bob Vokey, Scotty Cameron, Bob Bettinardi and anybody else." "Never buying a club anywhere else!!! Your recommendations on the Elements Chrome shaft for the driver and the playing length on the 5wood were perfect! Thanks again!!! We have never met in person and you somehow work magic with your fitting recommendations!!!" "Will, those two clubs are just awesome. I cant stop telling people about your site! I really like these shafts, they are perfect for me! Cant thank you guys enough." "Crazy Driver for sure! I'm very happy that I took the 12*. I really don't know how you can bring the ball in the air with less loft. It's a beast, especially with this combo. I have it on +1.0 so 12.7 and on fade. It goes straight and long. And with long I mean long! Great combo!" "Just wanted to let you know you nailed it with the Elements Chrome! I just had 1 short in the cold with range rocks test session with it and if it gets better when the season and I warm out its gonna be a monster. Perfect load and fell and great flight and trajectory. One of the top 3 shafts I have ever played. Reminds me a lot of the Matrix TPHD series but at a third of the price. Just a awesome stick!!!! Thanks again." "Thanks again, I've seriously gone from a 13 hcp to 6 since I started getting clubs from you guys." "This is the second time I have purchased from The Peoples Clubs and couldn’t be more happy that I found out about them earlier this year. I recently sent my set of irons to Will for new shafts and loft and lie adjustments. All I can say is wow and thank you! He did a great job on my sticks. He ordered the shafts, built the clubs to my specs, happily answered the hundreds of emails I sent, and had them delivered to my doorstep quicker than I could have hoped. He performed these services at a much higher skill level and at a more affordable price than any of the big box stores in my area could have. If you are looking for quality craftsmanship, top of the line products and outstanding service you don’t need to look any further. Will is the real deal!" "After 8 weeks receiving new build, Russell gets PGA Tour latinoamerica card! Maybe more people need Peoples!" "Just wanted you to know my daughter won the TN Women's State Am with her new M1 with the Project X Hzrdus shaft. She won the stroke play portion shooting 69-72 and then beat 5 college players in match play to win the title. The driver is phenominal! Straight and LONG!" The Peoples Clubs is a division of Peoples Enterprises.